Dodge is one of the leading vehicle manufacturers, focusing on sporty and reliable models that require expert care and service. We understand that it can be difficult to find an auto repair shop that you trust with your Dodge vehicle. Our Littleton auto repair shop is staffed with certified technicians that are experienced when it comes to working on Dodge vehicles. We work on all models of Dodge vehicles. Whether you need scheduled maintenance for your Dodge or any major repairs, our shop can help. At Eagle Automotive Service, we are the top choice for auto repair in Littleton and surrounding areas. We offer fair prices, friendly service, and honest auto repair. Every customer that walks through our doors is treated like family. 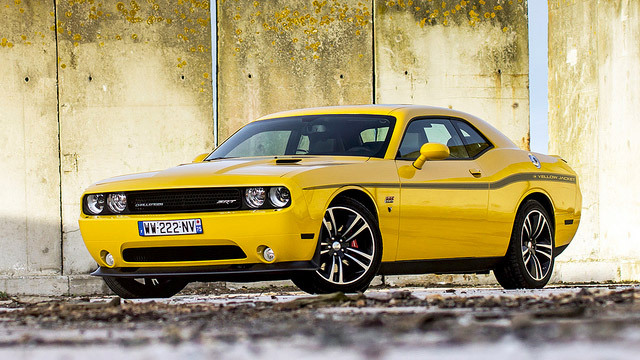 We know that getting your Dodge serviced and repaired can often be a hassle. Let our expert staff take the stress away and get you back on the road safely. We take the time to accurately diagnose your Dodge and determine the services and repairs that need to be completed. Afterwards, we take the time to educate you on our recommendations and our reasoning behind them. We work with you and discuss options that you feel comfortable with. We never pressure our customers into work they aren’t interested in. If your Dodge is due for a service or repair, bring your vehicle to our experts at Eagle Automotive Service. We look forward to servicing your vehicle soon!